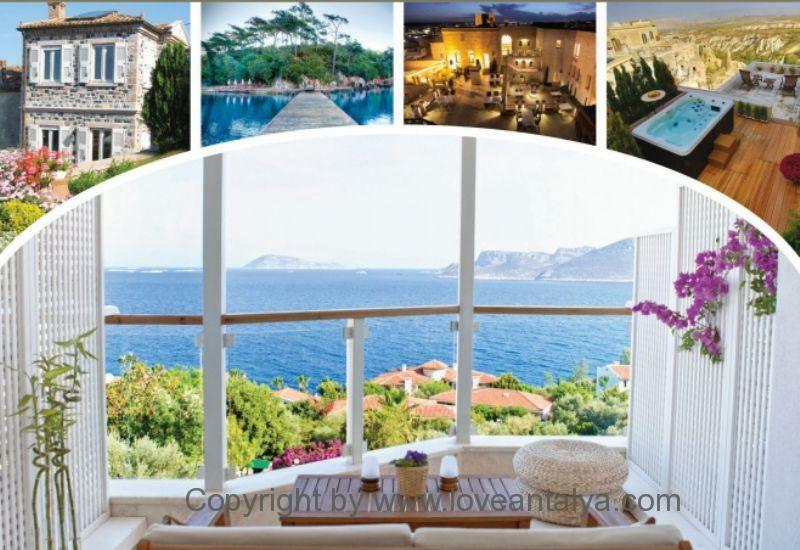 Around Antalya, you will find loads of smaller hotels and giant hotel chains lying side by side along the beach and provides you with good experiences and lively atmosphere. You live here with 3-700 other tourists, who probably wants to experience the same thing as you – have a fun, relaxing and informal holiday with as little effort and surprises as possible. Perhaps it’s okay, that the hotel is a bit anonymous and mainstream, and that you can not remember the name till the next year’s beach holiday – you’ll just find another hotel. I can almost guarantee, that you will meet the Turkish hospitality everywhere, and they will do everything to ensure, that your stay is as eventful, fun, uniform, luxurious beach holiday-like, as you expect. But there is also an alternative to this. Where you still get the hospitality (and perhaps even more), where it all becomes more relevant and present, when you experience the real Turkey and are allowed to get down in gear and into a whole other world. I’m more in to these kind of guesthouses and small hotels, and I’ve been lucky enough to stay at such small places several times and have enjoyed it every time. When I couldn´t sleep some days ago, I sat and looked for small, charming guesthouses in Antalya – just for fun. I was looking for this atmosphere of calmness, easy-going, authenticity and je ne sais quoi … .. I don’t know what. The Internet is indeed a wonderful thing, and I’m a big fan of Google, since you in no time (or maybe with a few searches) can bring yourself to a completely other place and find exactly, what you want. Fantastic!! It is not very difficult to find smaller, but super cool, more or less luxurious hotels / guesthouses, that are beautiful to the eye and the mind. These boutique hotels are often really well-groomed down to the smallest detail (on a significant other way, than the large hotel chains). Because the houses and hotels are so small, they are often located in places, you can only dream about (you can find places to stay literally at the shore, in the forests, in the mountains or in the inner cities.). You can see for yourself at this Turkish website (which is in English) or on this page, which is also quite good and where you can select according to your desired criterias. I usually look in some small hotelbooks, I bought years ago. Even though they are a bit old, they are truly amazing and gives me instant travel fever. 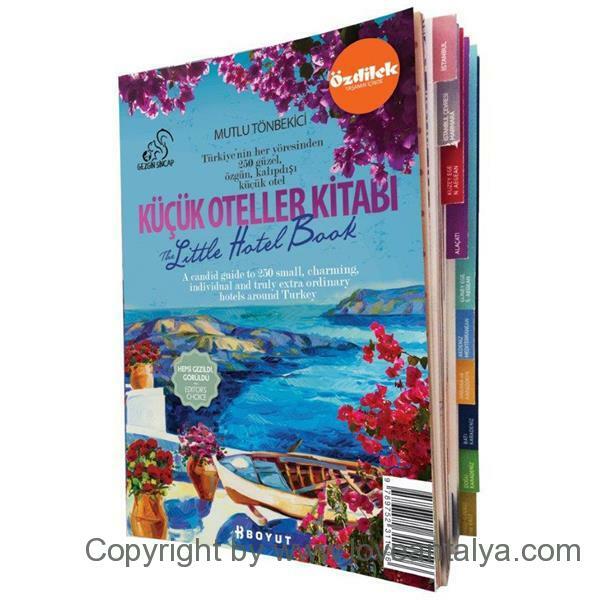 “Kücük Oteller kitabi” or “The little hotel book”, is a small book, that is published annually with small hotels, guesthouses and B&B’s throughout Turkey (the website is not nearly as nice as the book, but you have to look at it here). My books are gradually being well worn, as they frequently are studied from one end to the other and flipped thin to find inspiration for the next holiday. And they have succeeded many times and always with a great result. 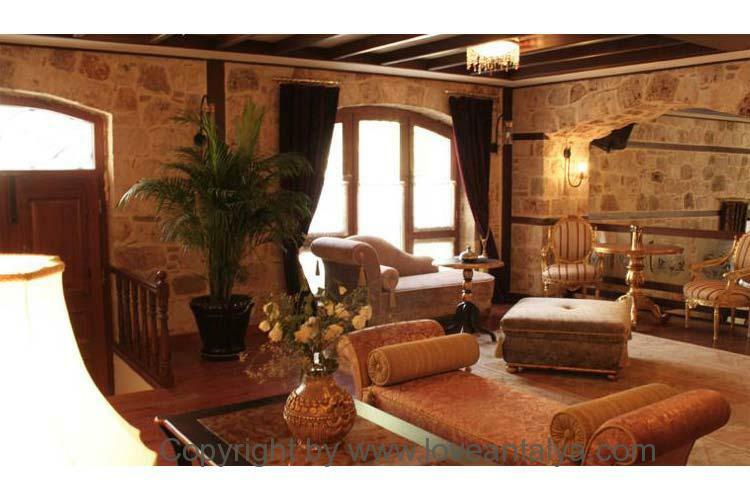 We have stayed in several guesthouses both inside Kaleici in Antalya and around the country during our many trips to eg. Izmir, Kas, Kalkan, Cesme, Kusadasi, Alanya, etc. and every place, we have had a superb service and had the best stay, we could wish for. A time in Kalkan, we lived in a Norwegian / Turkish couple’s small guesthouse. They were so friendly and accomodating and had the most wonderful small guesthouse (unfortunately I can not remember, what it’s called, it has been to many years). We had a nice little room with a private terrace, breakfast was served on our terrace, when we woke up, there was a rose on the nightstand, when we came home from experiences in the evening, they guided us to their favorite places and restaurants in the area, etc. etc.. We have had this experience so many places, so in my view, to stay at a smaller and maybe private place adds so much more to your feel-good-account, than the big hotels do. In the book (and on the website) you can search in all areas throughout Turkey. So, if the trip is not only going to Antalya, but to Alanya, Istanbul, Marmaris, Black Sea or elsewhere, you can easily find good places to stay. 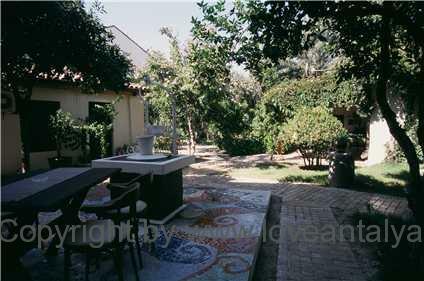 Do not hesitate to write to them (some are not particular good at English), they will do EVERYTHING to help you, and do make a reservation, if you find a place you like – the rooms get quickly booked, since many places only have 6-15 rooms (to be in the little hotel book, the hotels must max. have 25 rooms). All guest houses are selected by Mujde & Mutlu Tonbekici based on criterias such as originality, authenticity, personality, hotel owners’ background and values – and it’s all good enough for me. Here you will find hotels, that are primarily family-owned, where the owners often take a drink or eat with the guests in the evening, where rules are made to be bent to serve the guests, where the chef comes and asks you, if you liked the food. Both girls have been eager backpackers in their younger days, but hotels and guesthouses are selected after a little more mature and comfortable values, where good experiences, individual character and charm are the key words. The most expensive places can cost up to 1000 TL for one night and the cheapest down to 50 TL, so there are prices to suit every pocket. The book is available in all bookstores and most (large) shopping centers in Antalya, but you can also buy it over the internet at ex.. Amazon, if you want to be in good time and prepare for your holiday. There are variations in the book from year to year. All hotels are visited each year. Some sites fall out and other comes in or gets better words and a higher grade, so it’s nearly a kind of sport to keep an eye on, what happens. Unfortunately, the best hotels near the beach is a little way from Antalya (approximately 1-1 ½ hour drive from the city) in the areas of Olympos, Adrasan, Kas and Kalkan, but they are also amazing places with a quite unique and wild nature. 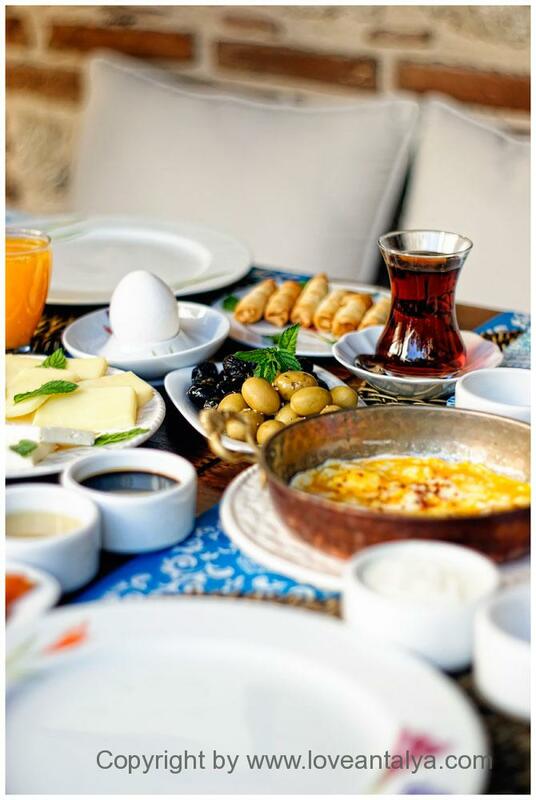 Inside Antalya city you will find more regular guesthouses, which are mostly old restored Ottoman houses with a charming little pool and patio, beautiful rooms and often with a incredibly good and popular restaurant. Unless you’re unusually good with heat, I recommend, that you don’t book a stay here in high season. There may be a little stuffy in the city (and thus unbelievable hot, if you’re unlucky) and the big and good beaches are about 20-minute journey from the city center. I can only recommend to seek a little out of the fixed frames and find a hotel, that is not listed on different travel agents, webpages etc.. Just for your own sake – if you want to meet the real Turkey. You can start your search here.